Rule the court with the Tecnifibre Carboflex 125 X-Speed. 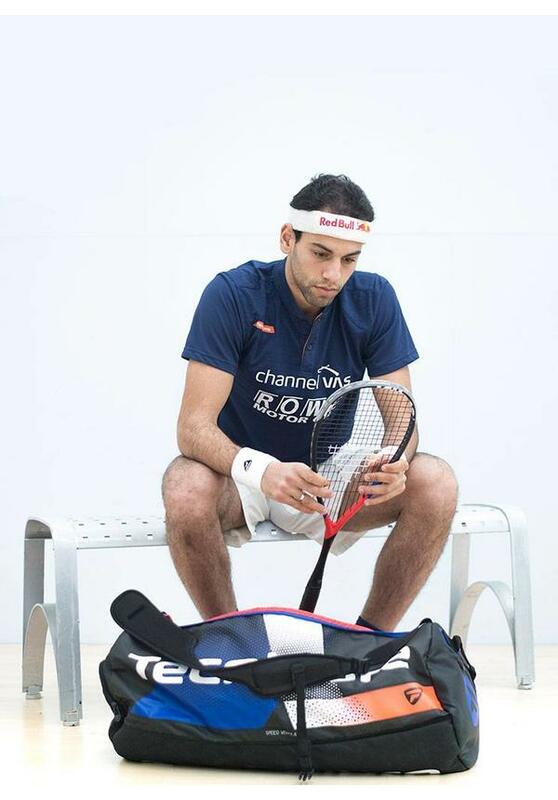 This is the new racket of Mohamed ElShorbagy who is also called the 'beast of Alexandria' for his highly explosive playing style. 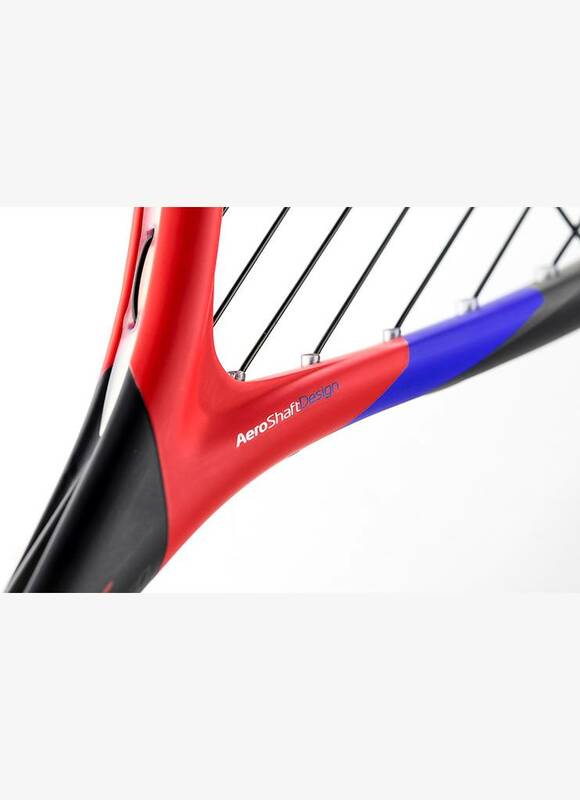 It is the successor of the extremely successful Carboflex 125 S. With this new model, Tecnifibre has once again succeeded in improving the playing characteristics of this already phenomenal racket. The Tecnifibre Carboflex 125 X-Speed is suitable for the most demanding player who besides power also wants unparalleled control for playing a winning shot. 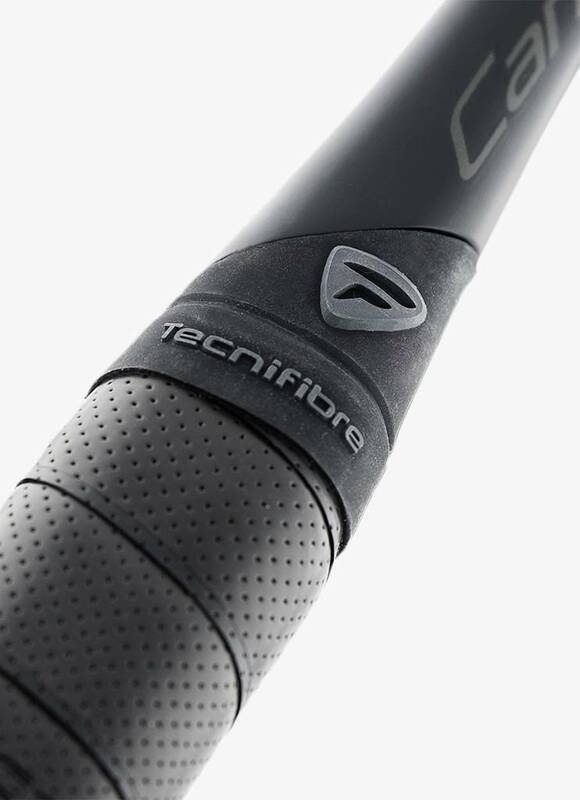 The Tecnifibre Carboflex 125 X-Speed weighs only 125 grams and is particularly manoeuvrable due to the slim frame. The balance point is just above the middle, providing extra racket head acceleration during a swing. You can easily hit powerful shots with the Tecnifibre Carboflex 125 X-Speed and you get the ball effortlessly in the back of the court even with a short swing. 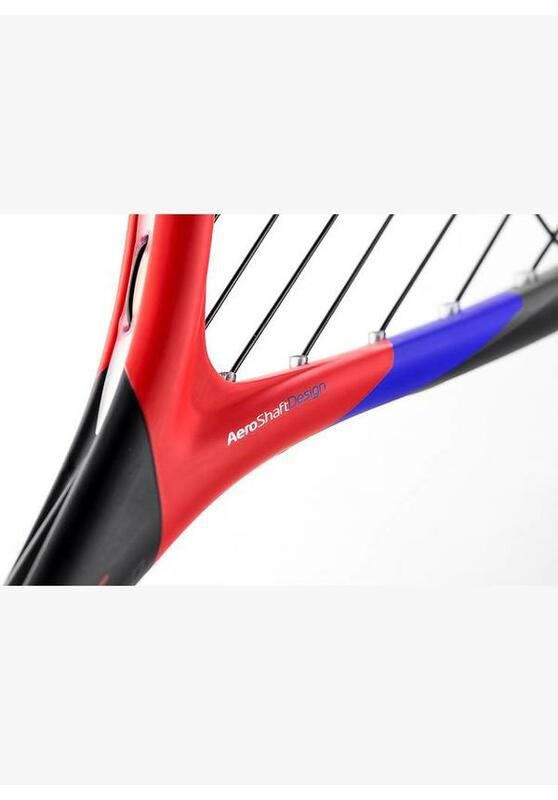 The racket is therefore ideal for offensive playing with a lot of volleying. In addition to a lot of power, the Tecnifibre Carboflex 125 X-Speed also offers excellent control. 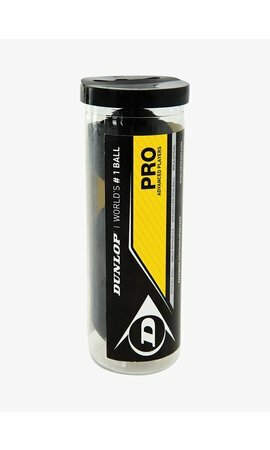 The new shape of the shaft provides more precision and a better ball feeling. The relatively small spaces between the strings - the Tecnifibre Carboflex 125 X-Speed has a 14 x 18 string pattern - guarantees the optimal control so you can place every ball very accurately. 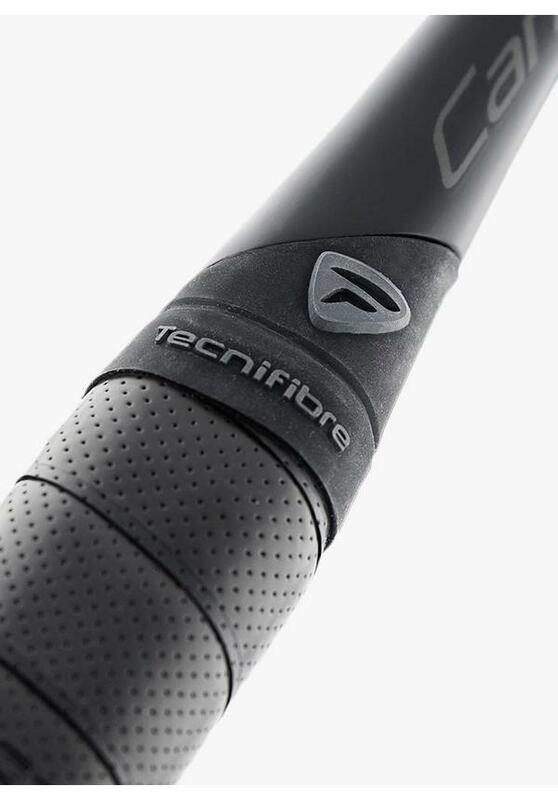 The Tecnifibre Carboflex 125 X-Speed is extremely strong due to so-called 'iBlades' on both sides of the shaft. 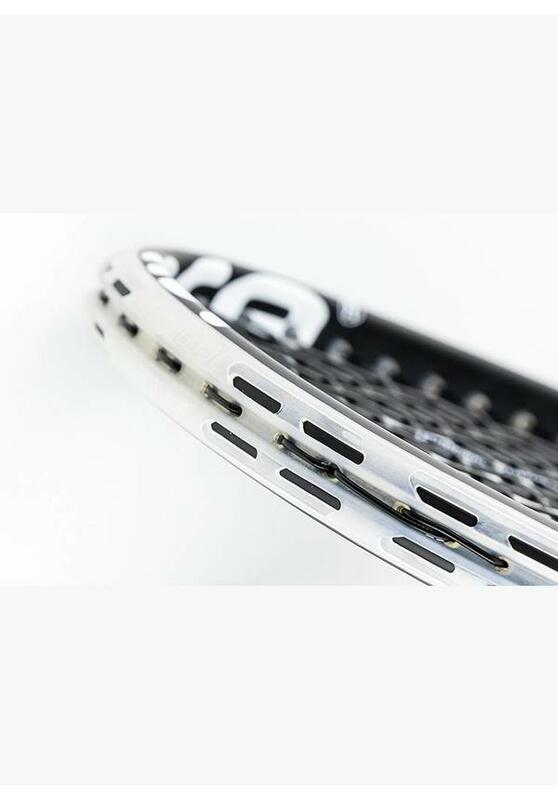 These notches with an elevation in the middle strengthen the frame so that you are less troubled by vibrations caused by the impact of the ball on the racket. The end of the grip is also nicely hidden under the innovative 'Shaft Crown'. This elastic material keeps the end of the grip in place and ensures that the Tecnifibre Carboflex 125 X-Speed also looks good when you replace the grip. The excellent DNAMX string with a diameter of 1,2 mm, standard in the Tecnifibre Carboflex 125 X-Speed, provides more ball acceleration. 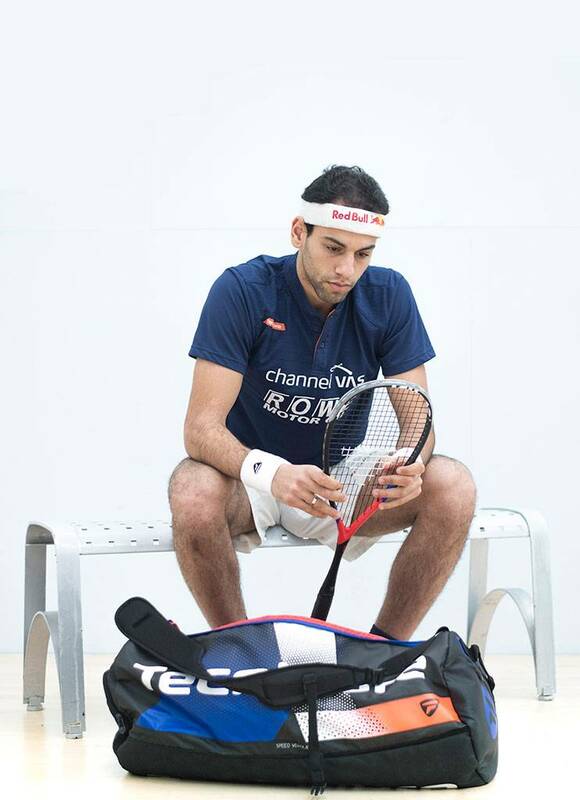 The racket does not slip out of your hand during a rally thanks to the Squash Dry Grip that absorbs moisture well. 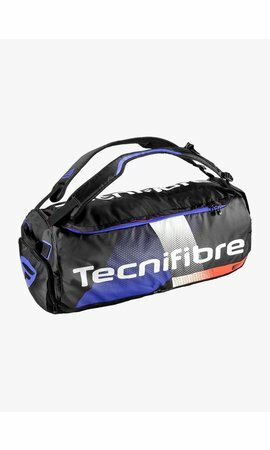 After the game you can store the Tecnifibre Carboflex 125 X-Speed in the full-size cover that comes with the racket and has a handy shoulder strap. 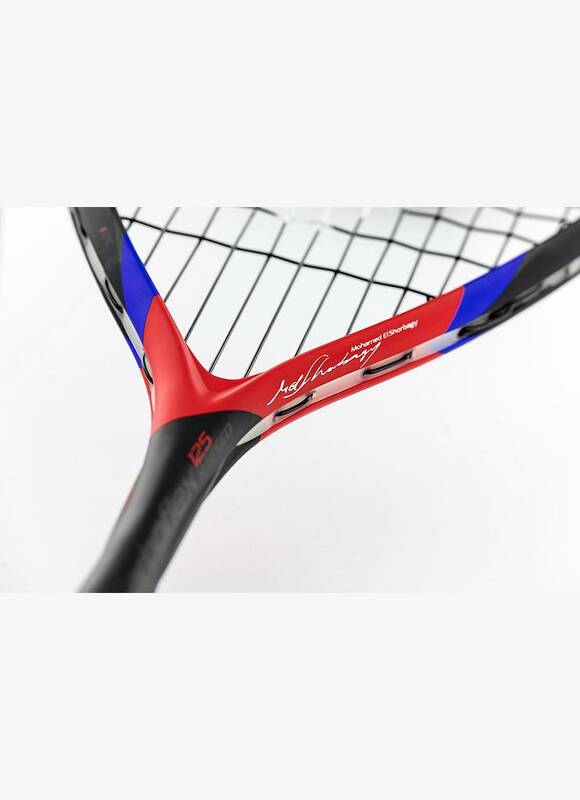 The black frame with red and blue pattern looks very nice and makes the Tecnifibre Carboflex 125 X-Speed a real feast for the eyes.